We are beginning to get a better idea of what Stagecoach in Plymouth will look like. We already know that they are not running many routes in Plymouth at all, so wont need anything like the number of buses that First operate. Sadly that also means they wont be needing so many drivers. It sounds like there will be some redundancies by the sound of it, from some of the comments that are being left. Lets just hope that the affected drivers are able to pick up new jobs, although its hard to see that many drivers being needed by the other operators locally. Vehicle wise we are also getting an idea. Thanks to Kameron Allan for news that among buses being transferred from elsewhere within Stagecoach are ADL Enviro 200s 37113 YY14WFD, 37114 YY14WFE, 37115 YY14WFF, 37116 YY14WFG, 37117 YY14WFH, 37118 YY14WFJ, 37119 YY14WFK, and 37120 YY14WFL . These will then be the newest single deckers in Plymouth. ©Eastleigh Bus Man back in August 2011, one of the buses destined for Plymouth. Also expected are a batch of MCV bodies buses from Wigan. As always plans can change! Plus the head office people who don't drive who work in supporting admin roles. Drivers are typically safe in takeovers, as they're deemed to be essential to the operation of the service. 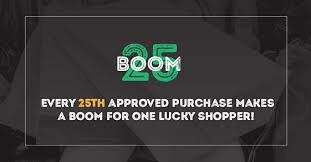 The economy is picking up now too, and there is demand for drivers, due to the competition and because the people who come into secure paid employment during a recession tend to return to self employment. If First was short of people, Stagecoach can reduce the size of their operations to suit the numbers of people available. That may be the case for a few drivers if there are any new council tenders put out to replace services lost, but there wont be that many of these. Possibly Woolwell / Glenholt springs to mind, but the vast majority of services being lost are well covered by Citybus. I should point out that the total number of jobs lost may well be quite a bit less than the 100 mentioned above. It's bad news for Plymouth, not just for the 100 or so who will be made redundant.Citybus will increase their fares and there will be less choice, driving more people away from public transport. Very sad. Im sure Citybus will take on a few of them, the only thing I wonder is that surely Stagecoach will need a few double deckers for the P&R services, where are these going to come from? It is possible that some of those posts being lost are currently vacant, so that would soften the blow a little. However I do still feel for anyone who ends up losing their livelihood as a result of all this and I would still hope that as many people as possible can be redeployed. 1) Voluntary redundancies. Major reorganisations can galvanise a number of people, who treat the announcement as a sign that it is time to move on to something different - especially if they had been thinking about it anyway. I don't know what, if any, voluntary redundancy package is available to First staff, but I am sure there will be advice and support from management and unions for any affected staff considering going down this route. 2) The big unknown at present is how Plymouth Citybus will respond to First's withdrawal. They may want to increase services along routes and corridors where they will no longer face competition, and may want to take on some of the redundant First staff. This may thoigh be balanced by selective or even wholesale withdrawals from routes/corridors where they would be competing with Stagecoach - after all, operators cannot be compelled to compete. Also, does Plymouth Citybushave unfilled vacancies currently, which could be taken up by redundant First staff? You are right, especially as it appears that the numbers I was told were exaggerated. I have changed the wording used. It would have been very interesting to be a fly on the wall when First & Stagecoach had their first meetings. Presumably Stagecoach must have been allowed to see some of the numbers re financial performance of individual routes. First must have indicated that they wanted out of Plymouth, the company itself was obviously not for sale, so offers must have been made or suggested re sale of the freehold depot & TUPE of staff. A figure of £2.8m has been mentioned in these columns assumed to be for the depot. If the rumours are true about redundancies then these must have been factored into the price paid. My employment - law knowledge is a bit rusty but I thought there had to be a 30 day 'consultation' before actual redundancies could be advised, followed by the statutory notice period - usually 3 months (or pay in lieu of notice). So if there are going to be redundancies, who is doing it/Paying it, First or Stagecoach? just like to say I have been here waiting to find out if had a job still it not nice . Good grief. If I have managed to successfully interpret this comment, I think it is worth noting that at no stage has anyone had anything but thought for First drivers! But this is a blog for transport enthusiasts and the topic will always be the overall change, operation and vehicles! Just because the drivers are not the topic of every comment does not mean that every reader or contributor does not hold out a bit of hope for those who may be facing redundancy. £2.8m is yet another myth perpetuated by others. That's a bit facetious. Everyone at PCB. The Managing Director too? Presumably when PCB launched their Torpoint and Tavistock routes they were aimed at running First out of town??? So is this an official comment on behalf of PCB then? Has the 'Destination Blinds Team' taken over the external communications function at PCB? Does any operator really have a destination blinds team? no it isnt an offical comment. just wishing them luck. jeez. I hope the traffic commissioner keeps an eye on Citybus over the next year or so. Its about time they did something about the lost journeys, especially evenings, due to there being no available drivers. This will probably get worse over time now that Citybus have the place to themselves and don't care much. James Dingle. What are you on about?! Complete utter nonsense. 1 First de register all the Plymooth services and then have a garage they no longer need. 2 Stagecoach then see that some services may be useful,and others better integrated with some of their existing routes,so they register what they require. 3 stagecoach also agree to buy the First Plymouth garage.. Given these are undisputed facts I cannot see how Stagecoach can be accused of cutting ANY services,since they were never Stagecoach routes in the first place. The only operator who has cut anything is First,who de registered the routes,Stagecoach has actually increased its presence in Plymouth not cut anything. If these are not the facts,then I would be glad to hear another rational explanation.......as for any redundancies,of course they will be regrettable,but in this context I cannot see how the blame can lie with Stagecoach. Not technically right. 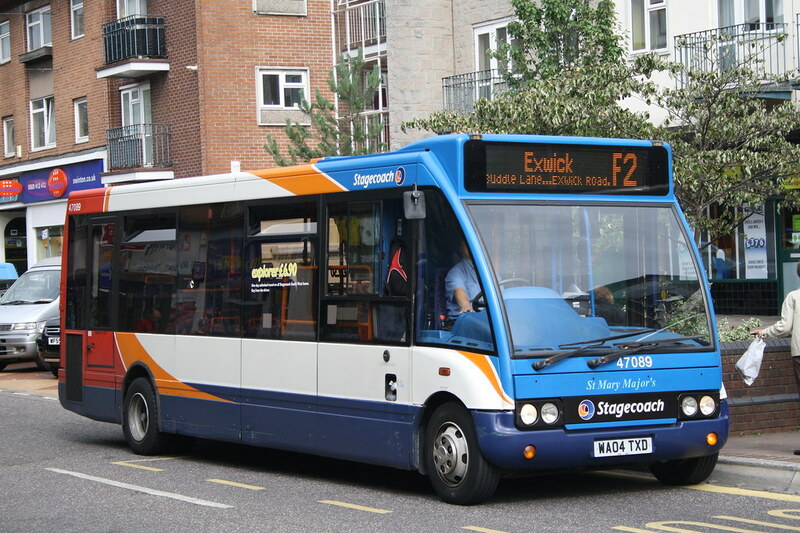 First sold the totpoint Tavistock Dartmouth and plymouth operation, but without the vehicles or torpoint garage site, to Stagecoach. First de registered all the work from those depots as they were all on first's o licence for the wider south west business. Stagecoach simultaneously registered what they chose to operate. The reality is that it's a win. First were planning a complete closure but pulled off a late deal with Stagecoach. Any jobs are better than none. One might assume that if PCB are indeed short of drivers, the availability of some from First/Stagecoach will be good news for both them and the drivers concerned. As in a previous comment, it has emerged that PCB are refusing to employ First Staff! Anon 24th July at 18.42 does not & has never worked for First bus. It's some sort of fantasy world that he is in. There do seem to be quite a few in that particular fantasy, especially as NO-ONE yet has the full story. But, what is a blog without a rumour ? Unusually VOSA are working over the weekend - yesterday PCB cancellations from 20th September appeared for services 4/4A and 45, a number of other changes also appeared. Has anyone seen the new Gold timetable from the start of September? Considering most of the First drivers take over-time, this means that with the reduction in services, there will be hardly,if any, overtime available and therefore, looks like there will be less than 100 jobs will be cut. if stage coach are not keeping more than 4 routes . As First have deregistered their services, operators can apply to the Traffic Commissioner to vary existing, or register new, services with less than 56 days notice - these are generally accepted by the TC where they are replacing other operators. This will apply in a number of cases in Plymouth I am sure. I am not quite sure what you mean....you say First sold the operations and the Garage to Stagecoach. What exactly did they sell except the garage....you cannot sell routes,they have to be de registered and re registered by the new operator.,and they have not sold any vehicles either........can you explain to me what First sold to Stagecoach except the garage,I am not being difficult,I genuinely cannot see it. Hmm, cancellation of 45 seems odd, prehaps all services will run as 20a but no mention of timetable changes for that. 4&4a also seems a bit odd; although not a complete surprise, you would have thought they might have given it longer I with a new operator coming in who customers don't really know about, its only been about 3 months running. Maybe it will be re-registered as s 6 to bring 5 & 6 back into Plymstock! Now the efford 6 is going. All speculation if course! Under the TUPE regulations the liability for all the staff employed on the operations based out of those four depots, along with the Plymouth site, the leases on Dartmouth and Tavistock. I also understand the majority of the depot equipment. However you can sell the routes in the sense of the goodwill. In practice that means that the sale includes First passing over operation of the routes - the alternatives being that Stagecoach would have to register competing routes to enter the market. In effect Stagecoach has purchased a ready made business not just the physical depots. Citybus have now cancelled Mount Batten, Ivybridge (Direct), Barnstaple (Sundays) and Heybrook Bay.The Tavistock corridor is the only remaining competitive route - for the moment at least. Stagecoach and Citybus seem to be settling down to distinct spheres of operation. By withdrawing from the remaining competitive routes it allows Citybus to increase services elsewhere. There is a world of difference in competing against a company that hasn't wanted to be in Plymouth for several years now and has just been treading water waiting for a sale or a shutdown and a company which has just made quite an investment into the area and will have made strong business case for doing so. And the 79 pcb cancelled. Must be a matter of time for the 42 surely? I must admit, it does seem a little strange for Stagecoach to go for redundancies straight away when they could just as easily run the Saltash and Torpoint services (assuming the routes made some money for First). There would always be the option of pulling out later if they really wanted to steer clear of Cornwall and Cornish franchising nearer the time that that comes onto the horizon. They're still affected by running in north Cornwall, of course. So, either the routes don't make money, or they don't want the reputational damage which might arise if they pull out in a year or two's time, or they simply don't have the vehicles available (and one would surmise that they'd want to use as few borrowed First vehicles as possible), or they have other plans. Even with redundancy costs, they must see it as cheaper than just buying the depots on their own and then interviewing the First staff to fill the positions that are available. There is a gentlemans agreemtnot to compete. I would have thought Stagecoach would have held out for a few more PCB routes to make up for Saltash and Torpoint tho. I wonder what the 42 changes will involve ? Maybe PCB will pull their 5/5a as well to Give SC all of Plymstock. Once 42 Tavil gone they will have north of city, from Derriford pretty much to themselves, giving them opportunity to expand in the north of the city! A 'gentlemans agreement' would be something that prompts the CMA to investigate. It is illegal for operators to collude in this manner and is anti competitive. There have been instances where dawn raids have occurred at bus operators in the wake of such agreements, and heavy fines have been issued to all parties involved in price fixing cartels. Arriva have been involved in the most high profile collusion investigations - Go North East were pulled up and censured on this during the 2010 CC investigations when they negotiated with Arriva in Northumberland, and the then MD at the time resigned over the matter. First in the early 2000s colluded with Arriva in Leeds over which operator was going to run which services in the South of the city - again, fines for both operators, plus internal disciplinary action for those involved. There are strict rules on 'talking' to your competitors and guidelines to follow! And where is the Competition Commission in all this ? If 2 little operators had a deal they would be all over them like rash.. yet look at this situ. Oct 2013 - Stagecoach launch GOLD service in direct competition with First X80 and by sheer coincidence Citybus launch service to Tavistock and Torpoint both aimed at pushing First out for free. Apr 2015 - Citybus launch Mount Batten route but still First refuse to roll over and die. July 2015 - Stagecoach buy Firsts' Plymouth ops and within 2 weeks Citybus pull out of Ivybridge, Mountbatten and are soon to pull out of Tavistock whilst Stagecoach at the same time launch a tiny Plymouth network and fail to register anything that competes with Citybus at all ? And the CC don't smell anything fishy here ? Surely it can not be legal to agree not compete ? There will still be competition between the two of them. The Derriford City Centre corridor looks very interesting with an increased Tavistock service, Revamped Park & Ride into Derriford peak times, and revamped 42 from Citybus. The CC no longer exists, replaced by the Competition & Markets Authority last year. How on earth you can expect the CMA to force privately owned companies to compete with each other is completely beyond me. It's nonsensical. I don't see why Plymouth is regarded by so many people as 'special' in that it should have on-road competition across its bus routes? Very few places have such competition for the simple reason that there isn't any money in it. Where it does happen, it tends to be temporary until one of the players gives up. It's happened in Plymouth three times since 1988 and never lasted, just as it's never lasted in most locations across the country. People in Plymouth have been lucky to have had some cheap bus fares over the last few years but that was always going to be short-term. All that's happened is that First has got fed up with losing money in the city after many years of trying. Stagecoach has registered those routes that it wanted or believes can turn a profit. Citybus has seen what Stagecoach has registered and adjusted its network to make it more profitable by dropping routes where it was also losing money. No 'agreement' is necessary. It's a good way for Citybus to increase profitability without losing face. They've 'won' in that they've got First out of town but in comes Stagecoach, who clearly don't want to go head to head - if they don't feel they need to, in order to survive, why would they want to compete and throw money down the drain? If the CMA wish to investigate the First purchase, they will do so. Their reference areas for other investigations have been smaller than Plymouth in the past! If there is a loss of competition through sale to one of the competing parties, they can and will investigate. One might be cynical and suggest they maintain more interest in Stagecoach than the others but that's hard to prove and Stagecoach's record of investment more than bears out the concerns that have been held over a number of years about fares, frequencies and fleet quality. I would expect drivers role to be safe given that competition means a need for drivers - I don't buy the inferences that PCB is at full driver establishment, the operators where I live and work most certainly aren't and haven't been for some time. Plymouth has become unusual in having two well backed competitors competing on services, neither of whom are going anywhere. Stagecoach, in this instance replaces the role of First on some services whilst PCB is left to others. Such competition exists elsewhere. Bournemouth, Poole (for 11 years now), Oxford (since 1987 but there is a LA brokered SQBP regulating frequency) and Southampton (also since 1987) readily spring to mind as other examples. As anon 08:32 infers competition is traditionally short term in nature and reliant upon one party withdrawing (usually the one with the shallowest pocket) after an initial burst of activity. There is one thing about competition.The big 5 normally dont step on each other except that Arriva, Go Ahead and Stagecoach have realised that First are in trouble. Arriva and Stagecoach share Liverpool and Chester and Guildford.Go to Southend First and Arriva are in battle .In Sheffield First are in battle with Stagecoach. If they defended their territory like the others no one will take pot shots at them. I doubt if there is a hard and fast definition of 'monopoly'; what the CMA does not like is actions which would lead to all competition being removed. This is why they stepped in to stop Stagecoach buying First out in North Devon; First later pulled out of their own accord and Stagecoach got all their services for free. The CMA can do nothing about that situation - except, perhaps, wipe the egg off its face. Did Stagecoach then make large increases to fares in North Devon? Perhaps someone who lives there can let us know. The head-to-head competition there is certainly minimal. There was no CMA issue with Stagecoach buying out First in Plymouth as competition clearly existed with Citybus; they almost certainly would have stepped in had Citybus tried to buy First. If First had just moved out, then there is nothing the CMA could have done if Citybus had then registered all their services and, therefore, had a monopoly of all commercial operations. First chose to sell, so that they would at least gain something from moving out. Stagecoach then chose to register only a small number of services because those were the ones where they saw a profit without wasting resources over-bussing competitive routes. Citybus withdrew from Tavistock and Mount Batten, presumably, for much the same reason. Yes, commercial operators have to maximise profits to please shareholders - but they are aware that a good way of maximising profits is to have contented passengers and plenty of them. Every empty seat on a bus is an opportunity missed - for ever. At the Plymouth rally today I heard a number of people saying that stagecoach are not going to operate any of the services that currently compete with citybus and that a mutual agreement not to compete has been agreed. Ah right. That must be true then. Never a diff rumour spread at a bus rally. The cancellation for First79 is on Vosa. There is no cancellation of the CityBus 79 as yet. Would be very surprised if they cancel that now. Could see them changing the timetable but not cancelling the service. Well the 12 is already turning out to be worst than the 76 was under first. Having needed to catch the 12 to go to Kelly Bray regularly now, it is never on time going or coming. If it even turns up. Have relied on catching the 78 to get back to Callington on at least 50% of the time. Using decent buses also went out the window. Lucky to see anything less than 10 years old on it now. First were never brilliant, but they haven't been as bad as this for over 20 years. What other PCB services have changes in September, as I can't see them on VOSA, other than the Blue Flash of course ? they will be there over time! If the Evening Herald piece is right that Citybus are pulling out of Tavistock - and, therefore, Okehampton - cancelling the 79 might make sense. Although some journeys at the moment are inter-worked with the 12, the new timetable for that service is, I believe, changing in September - back to hourly? I believe the 79 is, at the moment, a commercial service - so Stagecoach may want to run it from their Tavistock out-station. Otherwise, Cornwall Council will have to put it out to tender - in which case Stagecoach may bid or, more likely, Jackett's. But I am sure all will be revealed fairly son. PCB 79/79a is a Cornwall Council supported service. Exeter | Exmouth | Torquay has always been a one operator band, even during the days of Devon General before it sold to Stagecoach in 1996. Not true, Stagecoach does share routes nationally - Pronto in the East Midlands is one such example they combine timings on with TrentBarton, there's the 7-8-9 group of services from Salisbury to Andover that they share with Go South Coast. Then there is the Oxford SQBP agreement put in place by the local council that commits Oxford Bus and Stagecoach Oxford to minimum vehicle standards and frequencies. I'm sure others on here can think of examples too. I really think you should pay a little less attention 'to what drivers tell you' - I work for a bus company outside the blog area and I get to hear all sorts of rumours concerning my company and our competitors all the time. None of them have any truth and some are very much wide of the mark with what is actually taking place! The law you mention is called the 1995 Disability Discrimination Act, and was ratified in 2000 by PSVAR which determined minimum standards for types of vehicle. The industry were consulted on and agreed the change dates. So, operators have had between 15 to 17 years to get themselves ready for DDA. The sensible ones have bought wisely and don't have the shortfall to address - the likes of First have underinvested (or invested solely in London, and cascaded out what was expired) and so need to replace large numbers of vehicles in time for the change. At least the 'new' First is clear about where it sees itself, unlike the old ML regime where fear, hubris and micromanagement ruled the roost. A number of good businesses have foundered due to the policies and you could argue the new First is where Stagecoach was 12-13 years ago before they took a long hard look at themselves and what they did. Once they allowed people to innovate, they started to make money. Under the old regime, no risk taking took place due to the intolerance of failure. First got through lots of MDs and other key personnel, eventually becoming a group where the talented didn't want to work so they had to look outside the industry for people to run their businesses. if first have been making money, then why sell out? nothing to do with replacing non dda buses. first devon hasnt been making money for a very long time. under investment in the fleet, and the new buses they did get soon went to other parts of first that made money. people moan that citybus are expensive, but at least they invest that money back in the business! Anon 1734: not quite true, people have tried. Exeter had competition from Rainbow Bus on city routes (and IIRC out to Cullompton) and of course, Torquay had competition between Torquay and Paignton from First with their X80 shorts. There was Freebus too but that wasn't quite the same thing. In the 1980s there was heavy competition with Burtons on the key route between Torquay-Paignton-Brixham-Kingswear. i can state here and now, no 'deal' has been done with stagecoach. that is illegal. pcb have merely withdrawn from area that were not performing as intended and have decided to put those resources into areas which do perform well. Our MD has worked tremendously hard with the support of his staff to get citybus to the position it is in now, with continued investment in the fleet, investment in people etc. he has moved his family to plymouth as he has no intention of leaving citybus. he would not be so stupid as to throw that all away by colluding with stagecoach. And ripping off the people of Plymouth with SKY-HIGH bus fares to boot, why?, Because Go-Ahead want to line the pockets of their investors & FAT-CATS, not caring one iota about passengers. You should be encouraging people to use public transport, not discouraging. At least with First there fares were cheaper than PCB & their services more popular. If the bus fares go up again in September i will instigate a lawsuit against PCB which will involve the CMA, they now have a monopoly in Plymouth which means they can do whatever they want & try & get away with it, that according to the CMA won't happen, watch your step PCB , your going down! Come on Mike, Pull the other ones...you don't believe that so how can you expect anyone else to, really ? Citybus only launched routes To Tavi, Torpoint, Ivybridge etc to push First out. They said I quote 'to give our customers more choice, so now your customers don't need the choice ?' What changed ? If First were not about to go there is no way these services would be withdrawn in September!!! How has it taken 2 years for Citybus to work out that the Tavistock route was a non starter when everyone else knew they would not win this one from the start ? Also how can a company decide the Mount Batten route was ''underperforming;'' after less than 3 months in operation. Total nonsense. This looked dodgy even back in 2013 when Stagecoach launched GOLD and Citybus did Tavi and Torpoint all at the same time, bit of a coincidence wouldn't you say ? mmm. Good luck with that, then, Anon 19:29. I wouldn't waste your time. Your definition of "SKY-HIGH" fares must be different to mine. Unlimited travel in zones 1 and 2 for £700 per a year (i.e. less than £2 per day) seems pretty good value to me. How does that not encourage people to use public transport? What do you expect the CMA to do? Force Stagecoach to complete, PCB sell half their business to someone else or insist that First come back? Not going to happen. First's fares were cheaper but they couldn't make any money and couldn't afford to replace the buses. I really can't see PCB going down that road, can you? Anon 20:14 - not really a coincidence at all. First's Chief Executive had publicly announced that "In South Devon and Northampton we are almost in a close-down mode". A pretty stupid thing say, granted, but what else were PCB and Stagecoach supposed to do? They had to move to protect their own operations (from each other as much as anything else e.g. Stagecoach wouldn't have wanted PCB to extend the 45 to Torquay, would they?). First shot themselves in the foot big time by making that statement which was tantamount to inviting PCB and Stagecoach to pick off some of the best routes. No way were they going to sit back after that. And not forgetting that First did exactly the same thing when the council put Plymouth Citybus on the market. They came in and registered services running over several of the main Plymouth Citybus routes. Had First been as well organised and resourceful as Stagecoach are at these things then they may well have won that battle but instead they ended up pulling out their new services after a very short time. Oh for goodness sake Mike, stop being so sycophantic. I doubt many bus company MDs don't work tremendously hard. That's what they get paid big salaries for. The simple truth is that someone senior at GA or PCB made z very bad call when they decided to create on Torpoint and Tavistock. They had been negotiating to buy Tavistock and Torpoint from First but then when they thought the MMC may stop it they decided to register them instead. First were only weeks away from announcing their closure but changed their plans in the light of the competition. Plymouth would have been GAs over a year ago. Now Stshecoach have the First operation and PCB have run for the city. The only thing you have left is Torpoint which First openly admit was a loss maker when they were the only operator. My late Brother was MD for a Midland Red offshoot,after the NBC split the company in1981,going on to buy the Company (with other investors) in the late 1980's and later merging with Badgerline. All going fine until the creation,with Grampian,of First Bus. Suffice it to say that my Brother and most other experienced and traditional managers were so disillusioned with First that they were all eager to get out,and did so at the earliest opportunity,in his case with early retirement in 2001. Freedom of action,and even of thought,were discouraged and the Company was stifled to death,and is still struggling to recover even now. The contrast with Stagecoach innovation and initiative has resulted in the present positions of the two Companies. By the way,I still think following and replying to posts would be easier if people were encouraged to use pseudonyms instead of Anon........would this encouragement pose a problem? I know nothing about Arriva, but my impression of the other three main groups is that they vary very widely in the extent to which important decisions are taken locally. I believe First to be the most centralised, with local managers having relatively little freedom to plan services and no control at all over vehicle-ordering. This has, in the past, come coupled with expectations of profit margins which might be attainable in a large city but not in a rural area - nor, apparently, in London. It has, I believe, also been First's policy not to sell life-expired buses for further service with an outside operator. Stagecoach, to me, come next, with local planning of the network but generally centralised vehicle purchase and redistribution. GoAhead would seem to me to allow the most local control - and, presumably, responsibility for bad decisions taken. It looks as though local managers have the freedom to buy new vehicles - and, although second-hand buses would seem generally to come from within the group, this may be only because it would be known which fleets have the reputation of being well-maintained, and perhaps some preferential pricing may come into it, too. Thanks for that Bus Enthusiast - you manage to illustrate why the name of First is so toxic that in some areas they've decided not to use it. Years of micromanagement and fear management will take a long time to reverse, if there is a business left to salvage. At least now they are being clear on what they see themselves doing. Whilst Stagecoach aren't as wonderful as people imagine (talking from direct experience having worked for them) they do at least provide direction and will invest in their services, something First hasn't been willing to do. Keith - I'm not a manager (well, not for the big 5) but three of my close friends are. One has worked for First for several years. Things are markedly different from the Lockhead era. Much more autonomy now and less top down management and diktat. However, whilst UK bus is making some progress, there are many years of mismanagement to put right and the pressure is on Tim O'Toole to win a major new rail franchise. Also, people are focussing on the sale of Plymouth but fact was that Plymouth was basically screwed with GA competing and a load of non DDA compliant rubbish to replace. It was just a case of hanging on for either GA to retreat (unlikely), close up or sell. The fact that depots have been closed elsewhere nationally is little different from Stagecoach closing some for similar reasons (reduced council tenders and concessionary reimbursement, tender losses, underutilised depots in close proximity to each other etc). Another person worked for Stagecoach in the late 90s/early 2000s and found it surprisingly disappointing. A real lack of innovation and doing the same old stuff though this was in the period when Stagecoach had made an ill fated entry into America. They then left for First (!) which was frying pan/fire stuff and was the stuff of ever decreasing circles. Cut service, lose passengers, lose revenue/profit, cut service (repeat ad nauseum). After a period with local authorities etc, they moved back and are now back with Stagecoach which is much more devolved. The last person began with a smaller group before working for two Arriva subsidiaries. The latter of the two was much more risk averse though both were typified by central control and margin pressure. They now work for Stagecoach but their subsidiary is also much less innovative than the one that person 2 is at. Whilst none of the three have worked for GA or NX, they naturally also have their acquaintances and former colleagues in those organisations. NX is very much devolved (e.g. Dundee has little to do with West Mids, Speedlink or the coach ops) but then again, they are very separate markets with little synergy. GA was more entrepreneurial but has been becoming less so as central influences are exerted - not always visible to the spotter. Fact is that bus enthusiasts look at a "group livery" and think those with the strongest corporate feel or the most standardised fleet must be the most centrally controlled. In truth, it's a lot more nuanced than that. ps remaining anon for obvious reasons! All the big groups have centralised buying to get discounts .The businesses are divided into regions where each area makes a case for new buses and head office looks at the figures and returns.As i write now Arriva Midlands is being merged Arriva The Shires because Midlands has been underperfoming.The problem with First was that they put all their effort on the Train companies and neglected the bus side.Look at Stagecoach with Virgin ,South West ,East Midlands trains they are separate brands.First need to get back to basics. Speaking to one of the drivers who does the Waitrose Service, it appears that the contract will be run at least for now. Problems may occur with not enough hours for the driver though. As during the week, the same driver also does a couple of runs as the 76. Obviously with the cancellation of the 76, those journeys are no longer run. As there is no cost to First and therefore will be no cost to Stage Coach in running the service it makes no sense to stop it. Especially given its popularity with people from Tavistock and Gunnislake on a Monday. First,wonderful to reply to someone who uses a name other than Anonymous. Surely,as you say,a simple definition of a monopoly would be almost impossible and each case must be taken in it's own context. Given that PCB is the main operator in Plymouth would just one route worked by Stagecoach destroy that monopoly,or two,or three etc,etc. Every operator has a monopoly of som sort,even if it is only on one route. In Birmingham,where I live,National Express has a monopoly of several main roads in the city,and what realistically can,or should,the Competitions chaps do about it. A bit less muck raking and a bit more common sense would be useful in these matters. As for a previous poster suggesting a law suit against PCB........well,the mind boggles,he is lucky to have a route of any sort......much of the population of,say,Shropshire would be grateful for any kind of service. As long as there is a service,use it and be thankful,of course it is there to make a profit...how else could it exist? I realise that I may be very premature,but now the dust is starting to settle can anyone from the area hazard a rough estimate at what the fleet strength will be at Stagecoach Plymouth and out stations.............I realise it can only be an estimate,thank you. It's going to be broadly similar to what it is now for the simple reason that they've said all the drivers' jobs are safe. So something approaching 100. You could probably work it out roughly by going through the timetables on Traveline, adding in around 4 or 5 for Gold and X38, plus another 10% or so for spares. It would seem that fewer buses will be compensated for by running coaches, assuming the Megabus stories are correct but the number of coaches cannot be known as we don't know if it's just Hamilton Gray work coming in or they're changing diagrams run by other depots at the same time, or adding in extra services. The coaches might be officially based at Rugby (say) anyway, just using local drivers as happens now at Exeter. Reading between the lines in Stagecoach's latest announcement on their website, we can make some possible predictions. - Solos (47084-90) for Dartmouth and Tavistock locals? - Enviro 200s (37113-20) for 2/2A (and 48?)? - Ex-Wigan MCV saloons (as above?) - assume these are the ex-Bluebird Darts that Wigan can't keep on the road and have been parked up for awhile? That's probably getting on for 50 buses and leaves a shortfall - mainly deckers at a guess - for Tavistock and Dartmouth services (and schools? ), so it'll be interesting to see where these are sourced from. Plus any coaches due for Megabus, of course. I think the term "Park & Ride buses" on the101 is a bit confusing. I think it just means the existing buses as mentioned for the 100/200 rather than a separate batch of buses. The 101 will be interworked with the same buses as the 100. Basically in the morning all P&R buses work from Town to The George via Derriford as 101 then return as 100s. In the evening peak this is reversed with buses from town to The George running as 100s and then returning via Derriford as 101s. In between all buses run as 100s both ways. Its actually quite a clever way of using the buses. In which case, it seems a very odd way of wording it, why use a different phrase at all? I assume there's not an error in there - it would make far more sense for the different wording to apply to the 200, surely? Pretty much the same as Exeter with RED/M2 I would suspect we may see the Exeter RED P&R buses coming to be used on the 100/101 but only time will tell. Agree it is a bit clumsy wording! but certainly the 100 / 101 are the same buses. Stagecoach must have enormous confidence in Plymouth for 26 new buses. That's at least 3 or 4 million pounds. Great news re Stagecoach continuing the low fares First do! If they are speding £4mil on 26 New buses they must have plans for Plymouth network we do not know about. With the exception of the 15, although this is largely covered by 1/X1 the services they have got rid of 3/3a and 6 they would have needed to increase fares to make profit, and if PCB didnt follow the routes could have died. If they chose they can launch NEW SC routes with fares they feel will work with the 26 NEW buses etc! I can't see the 26 new buses being additional or for new services, I'd guess they're just to replace the the loaned First buses on P&R and to allow some of the other buses to move to where they would have gone if Plymouth hadn't been acquired.